The iPhone X seems to still keep the surprises. Until now we had the theme ‘Opening’ as the default ringtone on all iPhones from iOS 7. Now, Apple has introduced a new ringtone called ‘Reflection’ and is the default ringtone for the new iPhone X. Do you like that ringtone and set it for your current iPhone? Then you are at the right place. 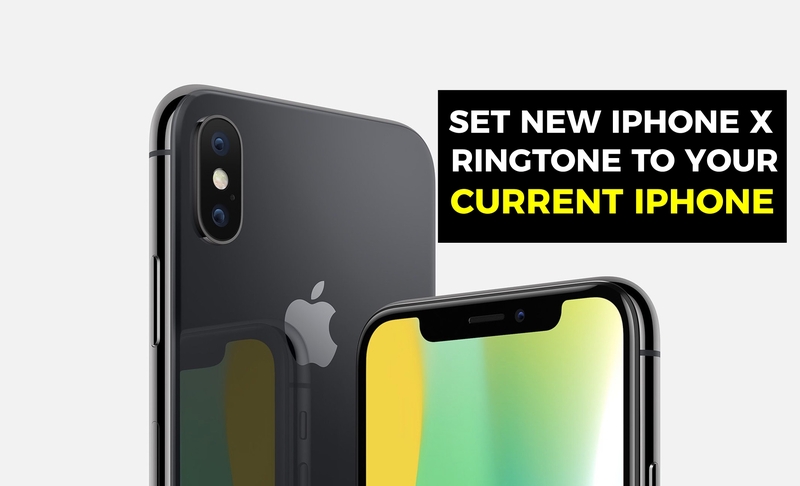 With these simple steps, you can not only hear it but use it on your iPhone as a ringtone despite not being an iPhone X. How to use ‘Reflection’ the new iPhone X Ringtone as a ringtone to an iPhone (any models)? If you want to install this ringtone on your iPhone and use it as a default tone, you have to follow the steps below. Download the ringtone from this following link. Save it in iCloud to be able to access it from Files in iOS. Download GarageBand on your iPhone or iPad. Create a new Live Loop type project. Press the fourth button on the top left to show a timeline. From the top right button add a file, you will find your file in Audio Files> Browse items from the Files app. Drag the file to the timeline. Go to My Songs by pressing the first button on the top left. Press and hold on your song to bring up the context menu and press Share. Press Tone and after naming it, export it. Go to Settings> Sound> Ringtone and choose the tone. As a curiosity, the most popular ring tone of the iPhone has always been ‘Marimba’, created exclusively for the original iPhone. In iOS 7 Apple decided to change it to ‘Open’ and now, with a new iPhone that initially wants to mark the next 10 years of the Apple phone. This is how we can set the new iPhone X default ringtone as our new ringtone to any iPhone models. This method can be applied to any iPhone models such as iPhone 5s, 6, 6 Plus, 6s, 6s Plus, 7, 7Plus, 8, 8 Plus. If you are facing any issues while doing the above process, let us know them in the below comment section. We will get back to you as soon as possible and solve the issues you have. Would you like to add any other information to this article? Then write them to us in the comment box and we will include them in this article. Which ringtone do you like the most? The iPhone X default or the previous iPhone default ringtone?